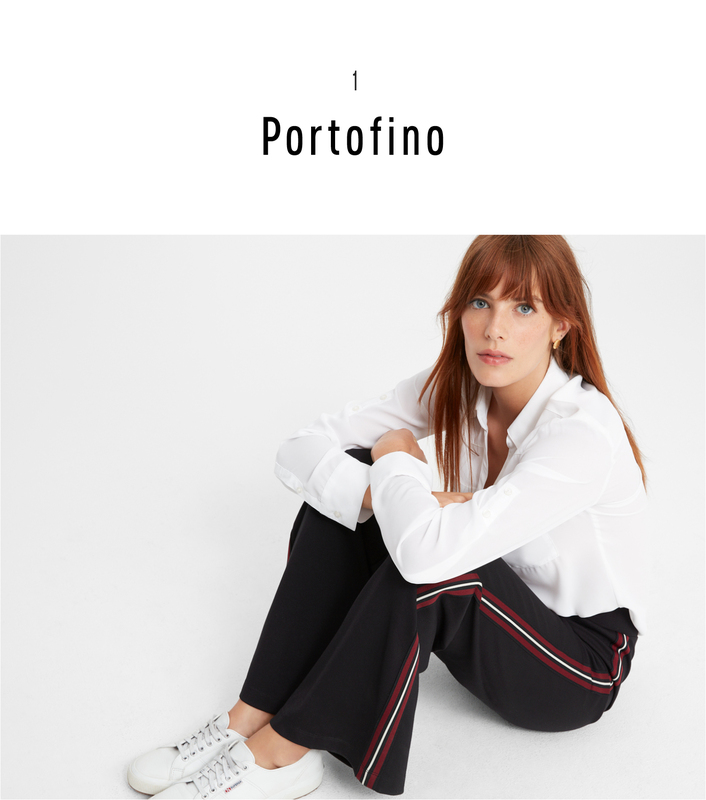 Whether you work in a corporate environment or a casual startup, the ideal office wardrobe consists of elevated pieces with fashionable flair. This is not to say your Monday-through-Friday outfit lineup should center around trends, but rather sophisticated pieces with details that stand out — and still pair nicely with of-the-moment items. The right assortment of shirts is essential to meet the practical yet polished demands of a modern working wardrobe. 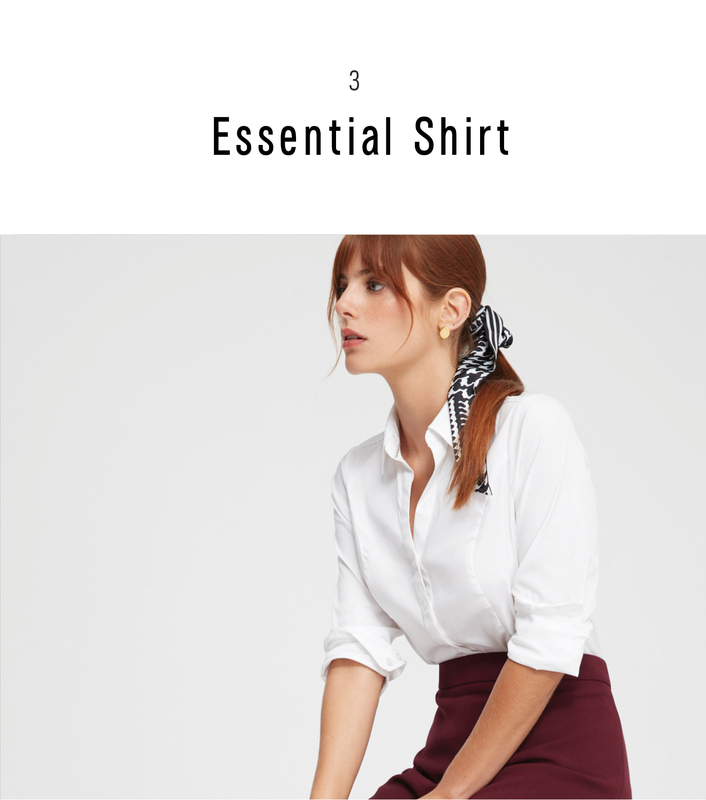 Yes, button-downs are certainly part of the equation, but also casual tees, layering tanks, and feminine blouses for optimal on-the-clock versatility (yes, you can make a T-shirt work at work — trust). Assorted fabrics and silhouettes are key for keeping your office looks fresh, because some days a simple top and jeans are all you need. Because an au currant workwear wardrobe should feel less stuffy and more easy-chic, we’re decoding the five work shirts every woman should own to master modern office style. An Express signature, the Portofino shirt is your ultimate wear-anywhere piece. To look instantly sleek and sophisticated, tuck one into a pencil skirt or high-waisted trousers with heels. If your office is more laid-back, try one half-tucked into jeans or with cool track pants. The button-down shirt is one of the hardest working pieces in your wardrobe. For a timeless look, reach for a fitted silhouette and team with everything from printed midi skirts to solid trousers. Or, go the street-style route and try an oversize style half-tucked into jeans, or worn loosely over slim-fit pants (or get creative by layering under a slip dress!). 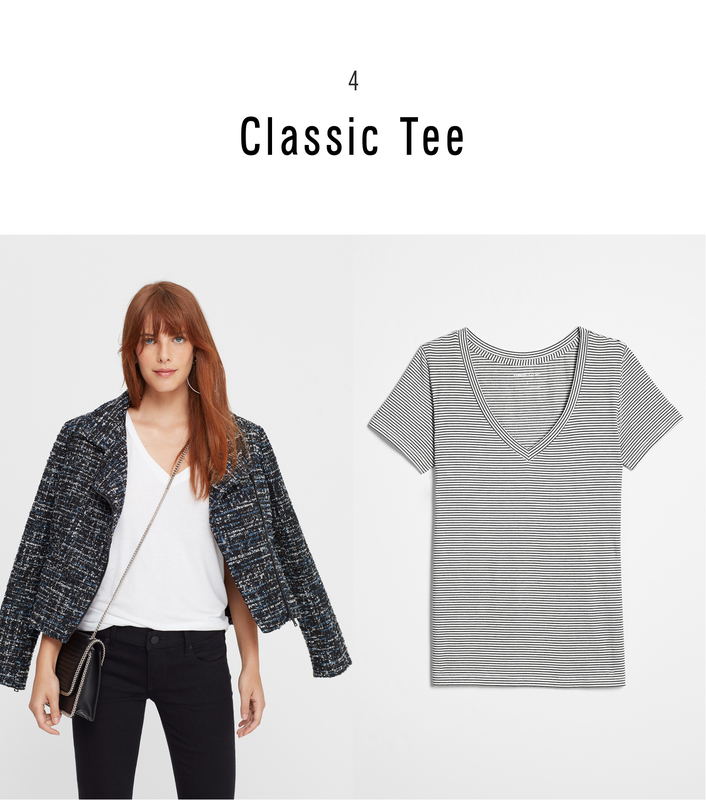 There is no greater hero piece in your closet than the classic T-shirt. 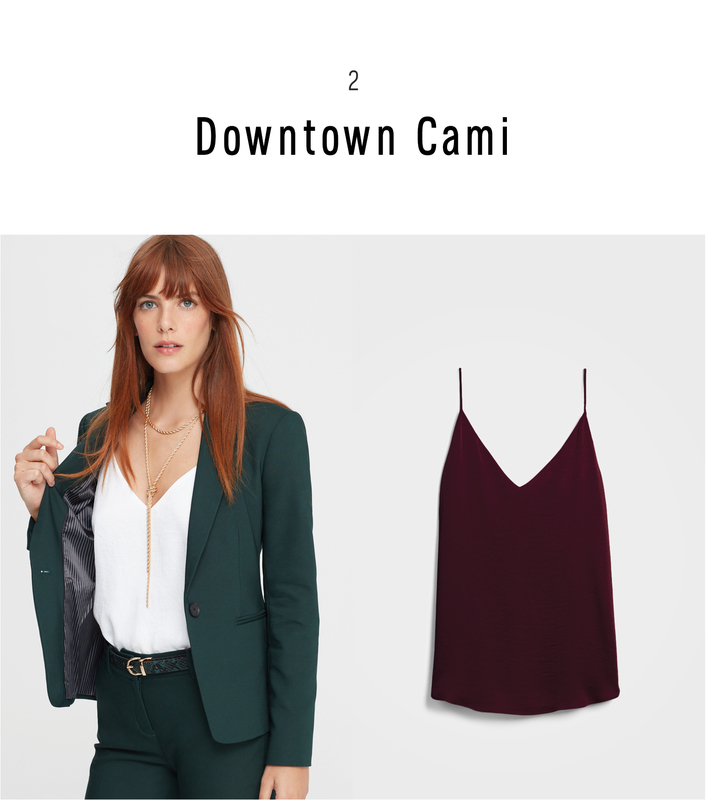 Make the off-duty mainstay work at the office by layering under blazers and smart jackets or by styling as a base layer with shoulder-baring dresses and tops. 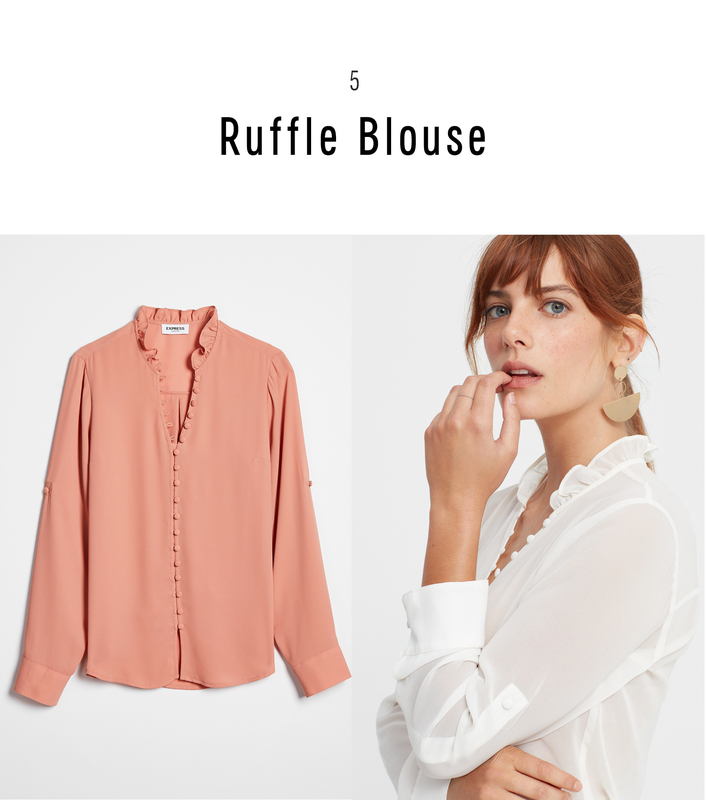 Add a dose of femininity into your work wardrobe with a sweet ruffled blouse. Try teaming yours with menswear-inspired pieces like a pantsuit, a heritage check skirt, or trouser-style jeans for a cool juxtaposition.